Me being a major pokefan, I draw and do graphic work in my Photoshop/GIMP. Write now, I only have like.. One drawing and working on another. Give me feedback! 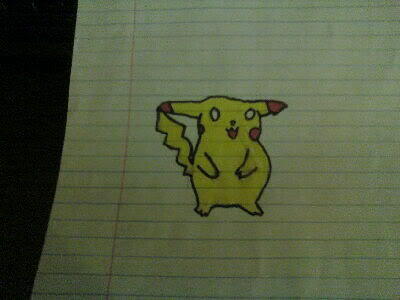 Lol Pikachu looks fat on one side.